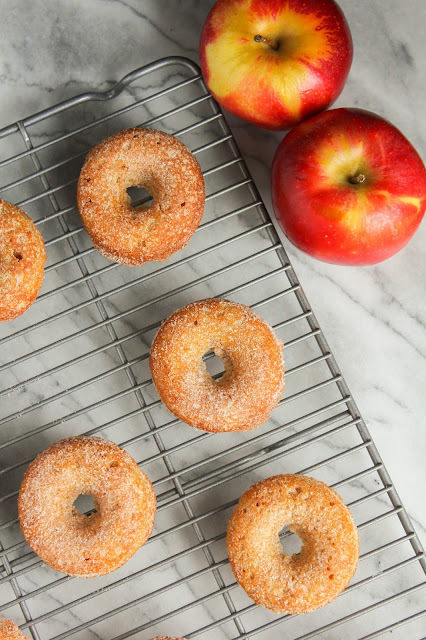 These soft and pillowy doughnuts are baked, not fried, and full of delicious apple goodness. Tossed in a cinnamon-sugar mix, each little bite is like a taste of heaven! Oh how I love a good doughnut. Back in the day, I could throw down on my favorite Long John cream filled doughnuts without batting an eye. Nowadays, my hips tell me that's not such a good idea. Don't get me wrong, I still indulge every once in awhile, just not as often as I used to. I've learned that just because I can't eat Long Johns every day, that doesn't mean I can't have doughnuts ever again. I love making doughnuts at home and baking them, which takes a lot of the fat and calories out since I'm not frying them in oil. Plus, my versions don't typically have a cream filling. My second recipe for #BrunchWeek just happens to be a soft, pillowy doughnut. 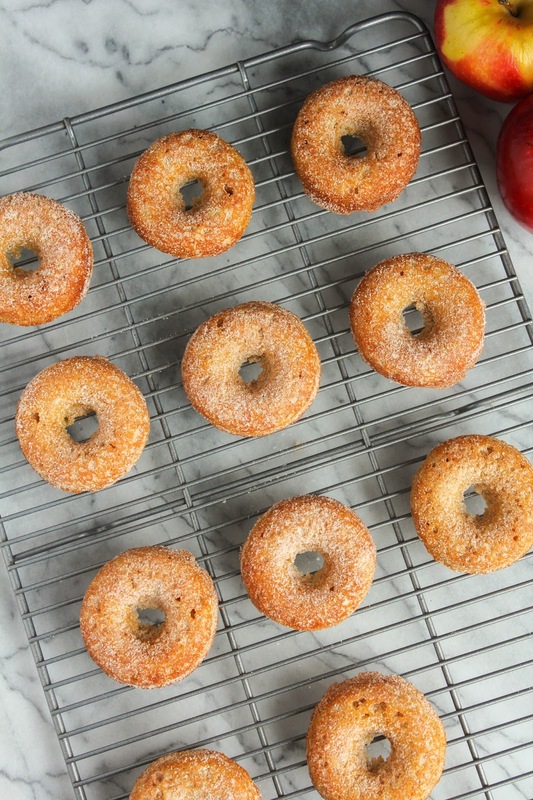 A Baked Apple Cinnamon Doughnut to be exact. Hot and fresh from the oven, they are the best little doughnuts I've had in a long time. Don't forget to hop over to my original #BrunchWeek post to read all about the fabulous prizes our amazing sponsors are giving away this week, and be sure to enter to win! Also, check out all of the delicious recipes my #BrunchWeek friends are sharing at the bottom of this post! Now, let's make some doughnuts! Preheat the oven to 350 degrees. Spray the wells of a medium size doughnut pan with cooking spray and set aside. In a large bowl, whisk together the flour, sugar, baking powder, cinnamon, nutmeg, salt and baking soda. In a small bowl, whisk together the butter, egg and yogurt. Add the wet ingredients to the dry ingredients and mix until just combined. Fold in the apple. 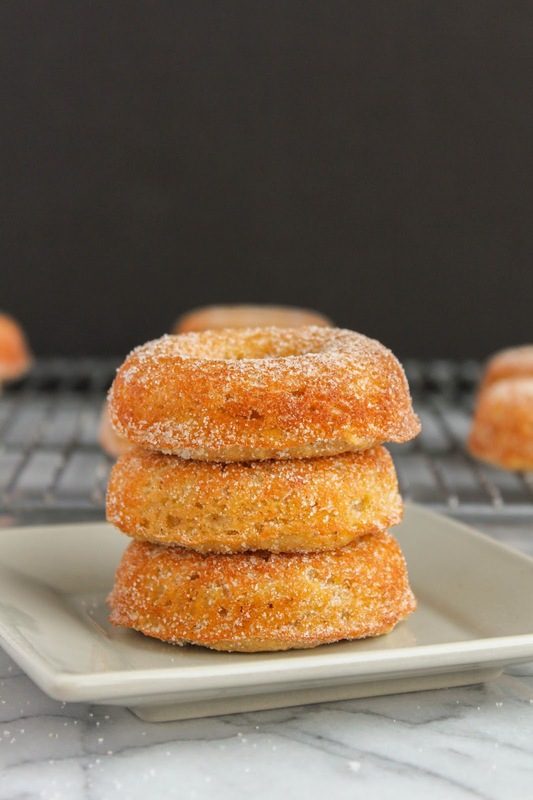 Carefully, and evenly, spoon the batter into the wells of the prepared doughnut pan. Bake for about 15 minutes, or until the doughnuts are a light golden brown and spring back when lightly touched. Cool in the pan for 5 minutes, then carefully invert the pan onto a cooling rack and remove the doughnuts. In a small bowl combine the sugar and cinnamon to make the topping. 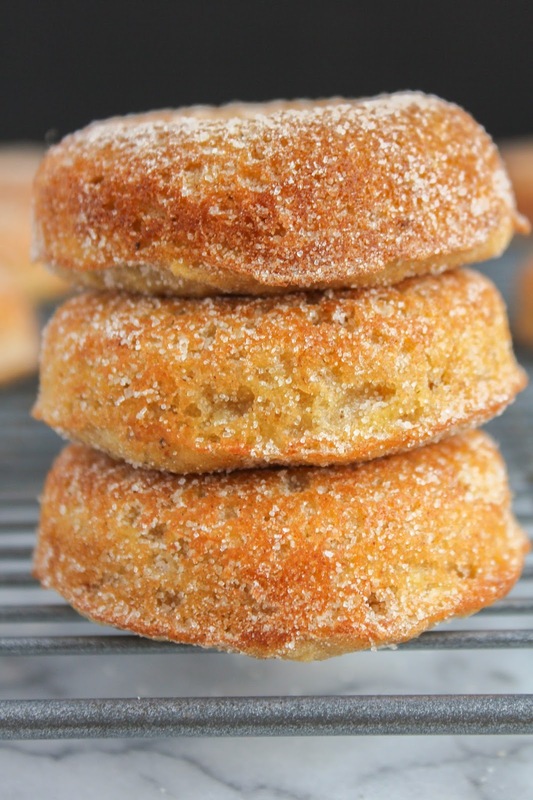 When the doughnuts are cool enough to handle, toss them into the the cinnamon-sugar mixture to coat. Serve warm. Thank you to our #BrunchWeek Sponsors: Red Star Yeast, Dixie Crystals, Cabot Cheese, Vidalia Onion Committee, Sage Fruits, Nielsen-Massey, KitchenIQ, and Le Creuset for providing the prizes free of charge. These companies also provided the bloggers with samples and product to use for #BrunchWeek. All opinions are my own.